DieHard Cricket Fans: Does England have players to call upon if injury strikes? Does England have players to call upon if injury strikes? Injury concerns involving England skipper Alastair Cook and seamer Stuart Broad, although unlikely to keep them both out of the series, have raised the question of the quality of the back up players in the England side. 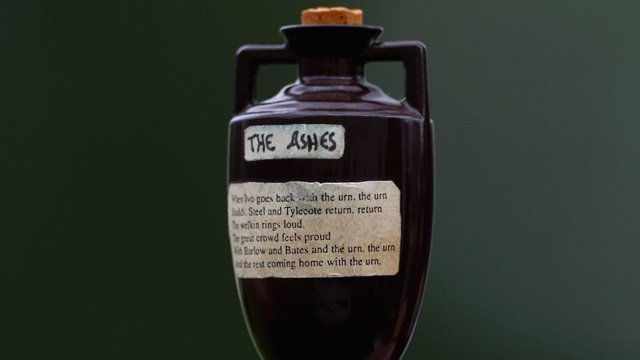 With the series being the second half of two consecutive Ashes series, it is likely that injuries and rotation will play a considerable role which could have an impact on the end result. It is therefore more important than ever to have strength and depth in the squad. hasn’t reached his potential yet. I would have him playing in the first test at the Gabba. If Finn can find some rhythm at the start of the series, he will be a huge asset for England. Last but certainly not least is big Boyd Rankin. Relatively inexperienced in international cricket, an Ashes series could overwhelm him. There’s no doubt that he has all the attributes to terrorize the Aussie batsmen, you just have to look at the guy and your bat’s up by your head fending him off. I just hope he gets his chance. It seems as if England are blessed with tall fast bowlers, able to step in if an injury occurs. It is also possible that Tim Bresnan may be able to join the squad if he recovers from injury, adding yet another option for the England selectors. Graeme Swann, as he has been for many years now, will be England’s premier spinner. He seems to have recovered reasonably well after his elbow injury, taking 26 wickets in the last Ashes series, however two ashes test series back to back with him bowling a large share of the overs could be too much for him. Backing up Swann, if an injury does occur, is Monty Panesar. In the press for the wrong reasons recently, Monty has had his trials and tribulations off the field, affecting his on field game. Given another chance by the England selectors, his talent has clearly shone through. He is currently suffering from a stomach bug, but he should be fit for the first test if he is called upon. In terms of back up for the batsmen, I’m more sceptical. It is likely the top five will include Cook, Root, Trott, Pieterson, Bell. However, once again, due to the exit of Paul Collingwood from the test arena, it’s the troublesome number six spot that needs to be filled. It was Jonny Bairstow in the last Ashes series, who came in at six. Despite being dropped for the last test after a disappointing series, not being able to nail down the spot, I suspect he is still the favourite. His Yorkshire teammate, Gary Balance, is also bidding for a place in the side. A talented batsmen, he stacked up enough runs last season to catch the eyes of the England selectors, and he deserves his chance. With the inclusion of another opening batsmen, Michael Carberry, in the squad, there is an alternative option. Carberry would open along side Cook, dropping Root down to six. It’s a viable option, however disrupting the opening partnership for the third time since the retirement of Andrew Strauss would mean creating anther opening partnership, in a part of the world where opening the batting is the hardest and most important position. The reserve batsmen aren’t adaptable enough. Bairstow and Balance are both aggressive batmen and Carberry is strictly an opener. James Taylor has been curiously overlooked. An adaptable player, able to bat in positions three to six, captaining the England Lions and having played two test matches so far, he seems to be the ideal candidate. Thanks to the ECB and Cricket Australia, England’s performance squad is also on tour in Australia. Filled with some exciting players, I wouldn’t be surprised if players from the performance squad feature in some of the Tests. I’m proud to say that Alex Lees has been given a chance in the performance squad, playing his cricket at Bradshaw CC Halifax (my club), when he was younger, he has gone a long way and one day will hopefully play for England’s first team. The most expensive over ever !